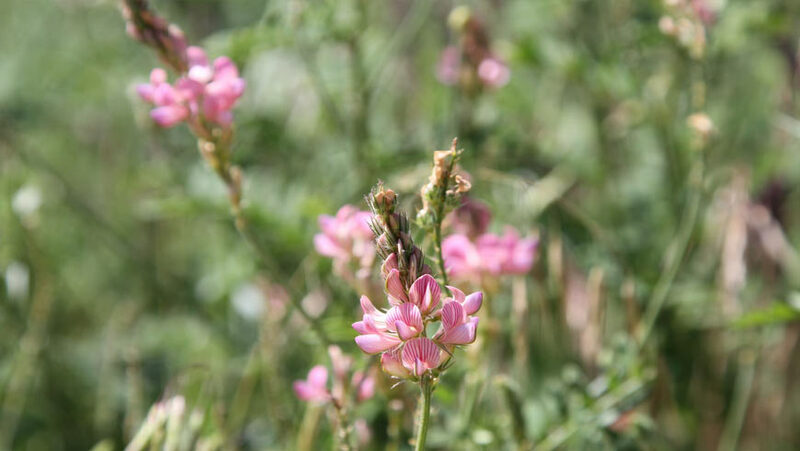 As the name suggests, a crop wild relative (CWR) is a wild plant species related to a domesticated crop. For centuries crop wild relatives have provided farmers with the genetic material to improve the nutritional quality of crops, enhance productivity, and provide cultivated varieties with resistance to pests and diseases. Their value in increasing crop yields worldwide has been estimated at as much as US$ 115 billion per year. In addition, the conservation of crop wild relatives has become even more critical during a period of climate change. Also, he genetic diversity of these wild species gives breeders and farmers the resources they need to ensure that agricultural ecosystems can adapt to changing conditions and remain productive. Despite their importance, the in situ conservation of CWRs has been neglected. This is partly because they fall between two conservation sectors. Traditional biodiversity conservation efforts tend to focus on habitats or on rare and threatened wild species, while agricultural conservationists tend to focus on already domesticated crops. As a result, CRWs have rarely been targeted for in-situ conservation. Without active in situ management, genetic diversity within and between individual crop wild relative populations could be eroded and entire populations could even go extinct. A global project, “In-situ Conservation of Wild Crop Relatives through Enhanced Information Management and Field Application”, developed by UN Environment and executed by Biodiversity International and other partners, has united national agencies in Armenia, Bolivia, Madagascar, Sri Lanka and Uzbekistan - all centers of CWR diversity - to improve conservation of this neglected component of biodiversity. At national levels broad-based, partnerships across sectors have been established that include more than 60 national and international agencies as well as individuals from a broad range of institutions, including, universities, herbaria, government departments of agriculture, environment and biodiversity, protected areas administrations, local and indigenous community groups, non-governmental organizations, extension and outreach agencies, botanical gardens, museums of natural history, and research agencies. The establishment of effective partnership in the countries among institutions that formerly had not worked together has been crucial to the success of the project. The countries have formed effective working partnerships and have acquired unique experience in one of the most challenging areas of agrobiodiversity conservation. Having done so, they are now well placed to act as hubs for CWR conservation in their regions. The project included a major component on information management since baseline studies indicated that this was a major gap for effective CWR conservation decision-making. During the project, all five countries brought together pre-existing and new data on CWR in one or more national databases, all based on the same set of descriptors. Pre-existing data was gathered in each country from a variety of sources, available in various electronic formats or often non-digitized. New occurrence data on CWR was gathered during numerous field surveys. Given the different national contexts and varying levels of expertise and use of software programs, all five national inventories have been designed according to appropriate national needs. Detailed information for hundreds of CWR species is now available. The five comprehensive national information systems are complemented by a global portal that provides access to CWR information at global level at www.cropwildrelatives.org. All national inventories are searchable through the portal. Further resources on CWR provided by the portal include publications, searches for projects and experts, news, images. Global partners worked with national partners to provide tools and enhance capacity for maintenance and management of the newly-developed information system, participatory decision making and implementing conservation actions. Each country added to the current body of knowledge on CWR by carrying out new assessments on the distribution of native CWR species from 36 priority genera, their uses, and the threats they face. The assessments carried out through this project constitute probably the largest set of assessments ever done on CWR and represent a major contribution to the global knowledge base on the subject. For example, more than 310 CWR species were Red List assessed according to IUCN guidelines and Bolivia published the first IUCN Red List specifically dedicated to crop wild relatives. Also, each country developed strategies for the in situ conservation of CWR, including the development of national inventories and methods for prioritizing conservation activities for CWR species from 36 genera. Elements of these strategies included developing national crop wild relative action plans and adapting existing protected area management plans to include CWR. Specific management and monitoring plans for particularly important CWR were formulated in each country. The partnership worked closely with protected area authorities to develop species management in selected protected areas. In addition, the project has identified places outside protected areas for in situ conservation of crop wild relatives. Furthermore, the project developed tools that support the investigation of how different climate change scenarios might affect the future distribution of CWRThe results of these studies on the possible impact of climate were important not only for national efforts to conserve CWR, but also for global efforts to safeguard biodiversity in general. A manual for in situ CWR conservation based on the experiences gained through this project has been prepared, which is an important tool in sustaining and scaling-up in situ conservation activities. Innovative communication tools were used to bring CWR conservation higher on the agenda of decision-makers and closer to the minds of the wider public. Partners in the project also sought to raise awareness about the value of CWR One of the best examples of the activities are the two agriculture information parks the Sri Lankan Department of Agriculture established in Peradeniya and Bataata, where visitors can learn about conventional crops as well as wild relatives. The Bataata Park attracts 8,000-10,000 visitors per month. Other approaches included the organization of media tours, which resulted in substantial media coverage on the subject, and the integration of aspects of CWR knowledge into educational curricula. Overall, in-situ conservation of crop wild relatives by the participating countries represents a prescient investment in rural livelihoods and recognizes the integral role that biodiversity plays in ensuring the sustainability of agro-ecosystems now and into the future. As such, it embodies the spirit of this year’s celebration on biodiversity and provides an inspiring example of not only “conserving what we love”, but what we need.